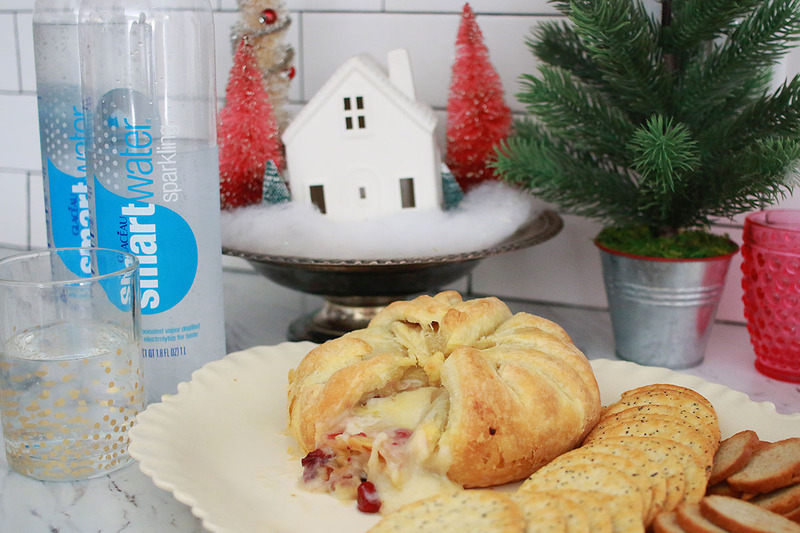 With the holidays on everyone’s mind, so is entertainment & food! 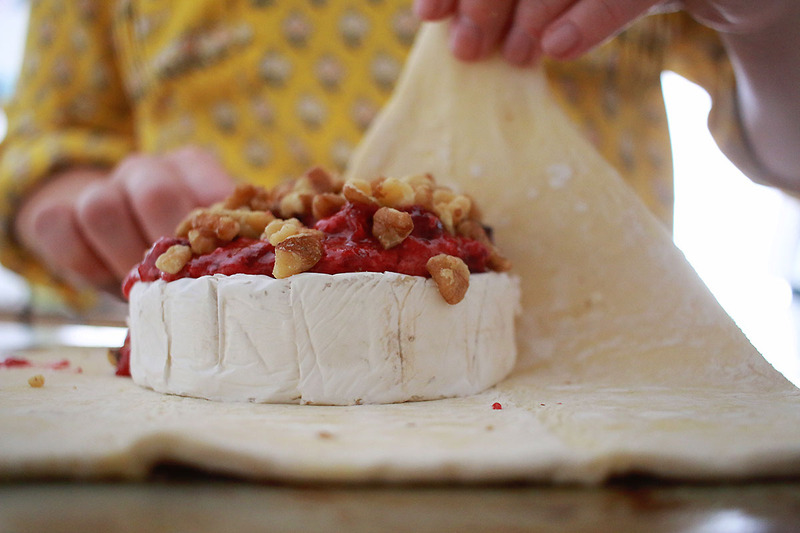 I’m always looking for recipes that WOW without taking hours in the kitchen. 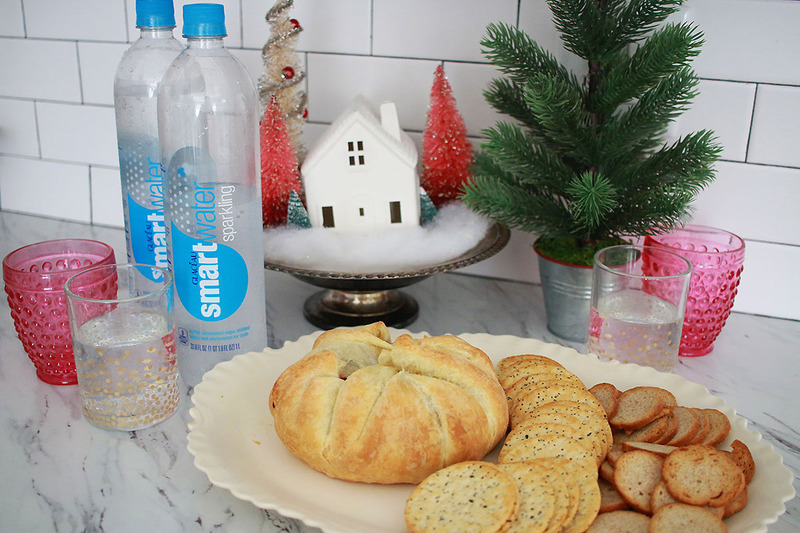 Recently smartwater sparkling arrived on the shelves of my Randalls & I just had to grab a few bottles of this fabulous new sparkling water that is vapor distilled and with electrolytes for taste! 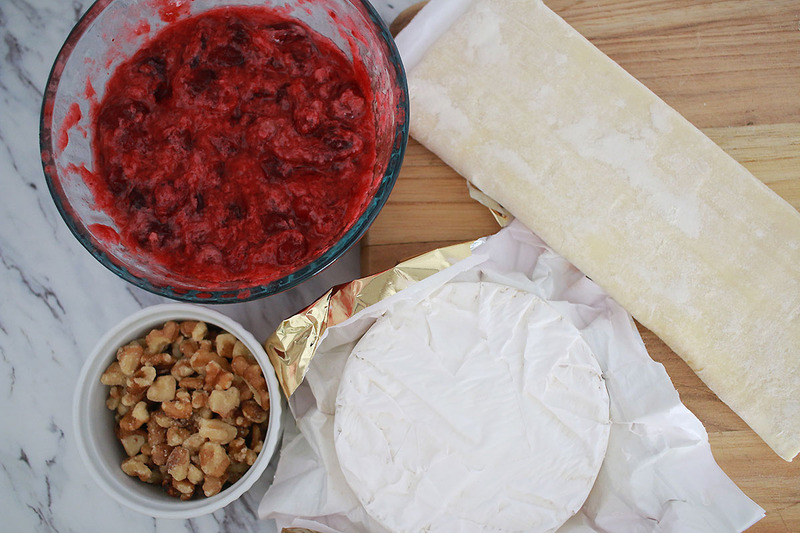 I thought what else but cheese to pair with it for an amazingly fancy (but oh so easy) appetizer. 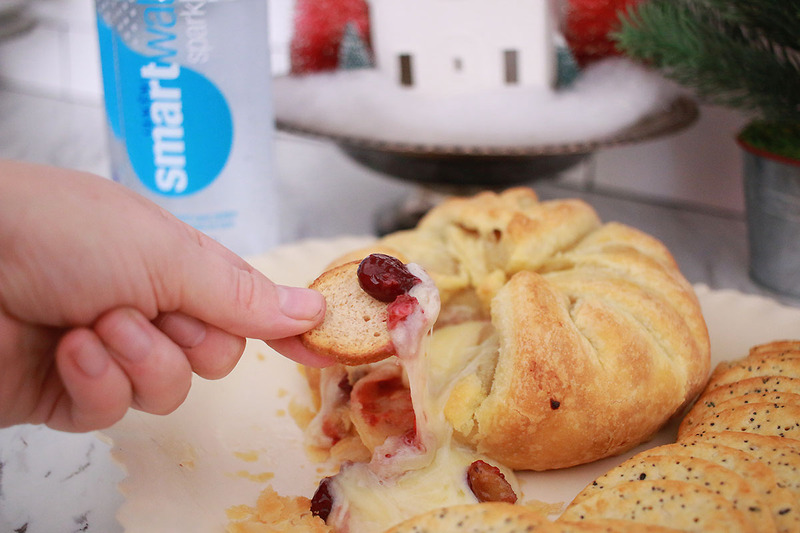 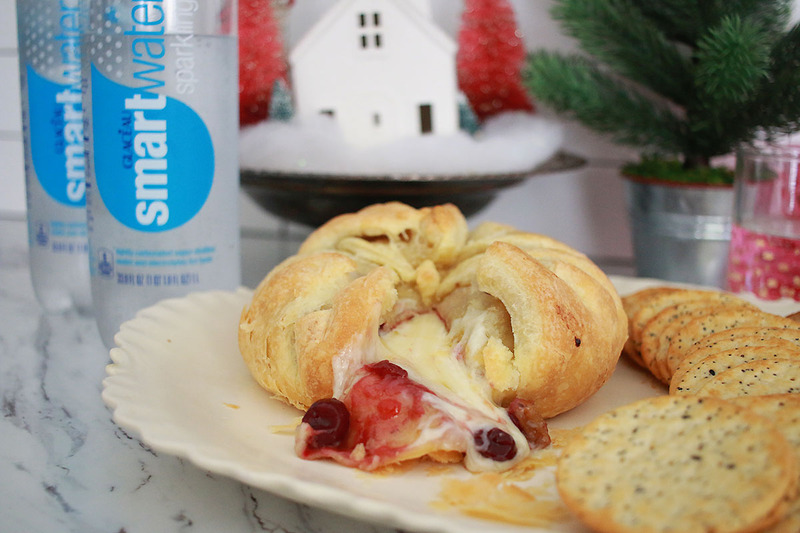 A baked cranberry brie served with a spread of crackers & smartwater sparkling! 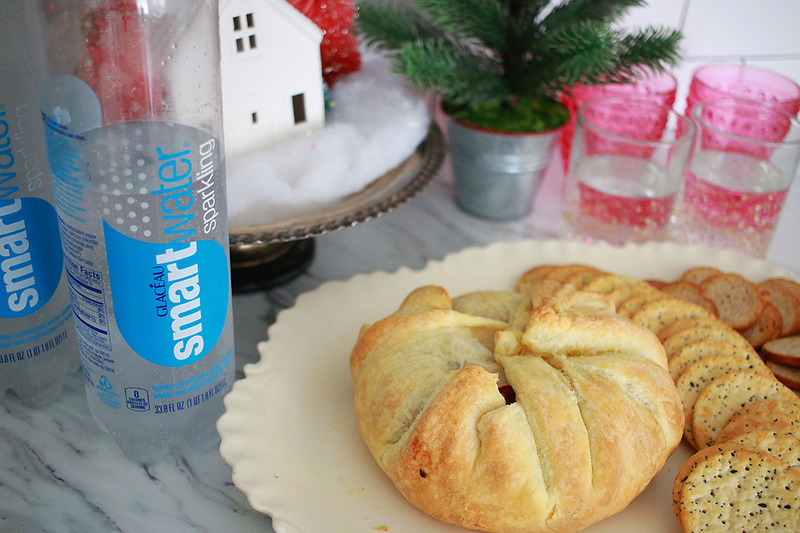 This is such a wonderful pair to impress your guests & elevate an evening! 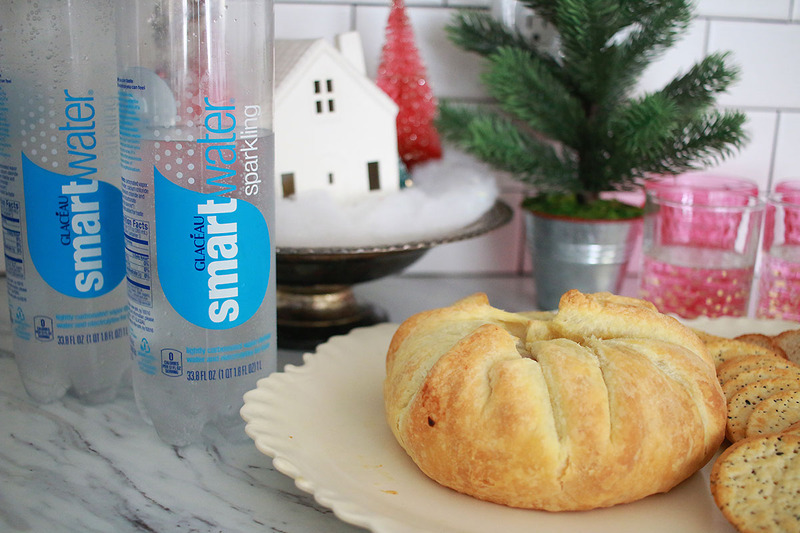 Both smartwater sparkling & a baked brie are show stoppers that will make your guests wonder when you won the lottery & hired a chef 😉 It’s our secret how easy this pairing is. 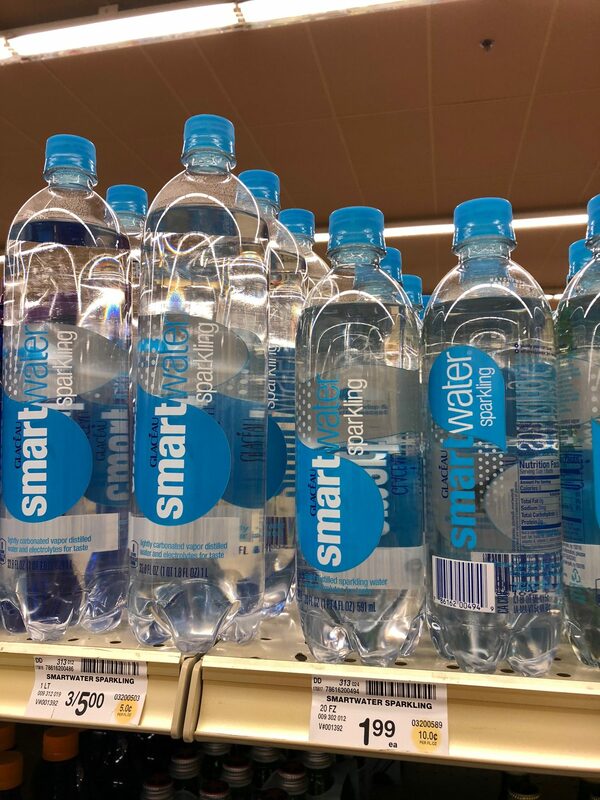 By the way, I found the smartwater sparkling on the very top shelf with the sparkling water in Randalls. 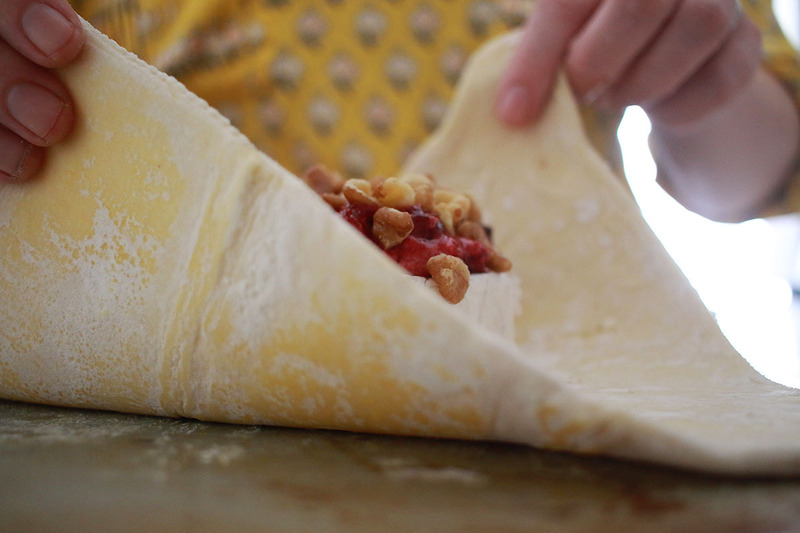 Preheat oven to 425 & Lightly grease cookie sheet. 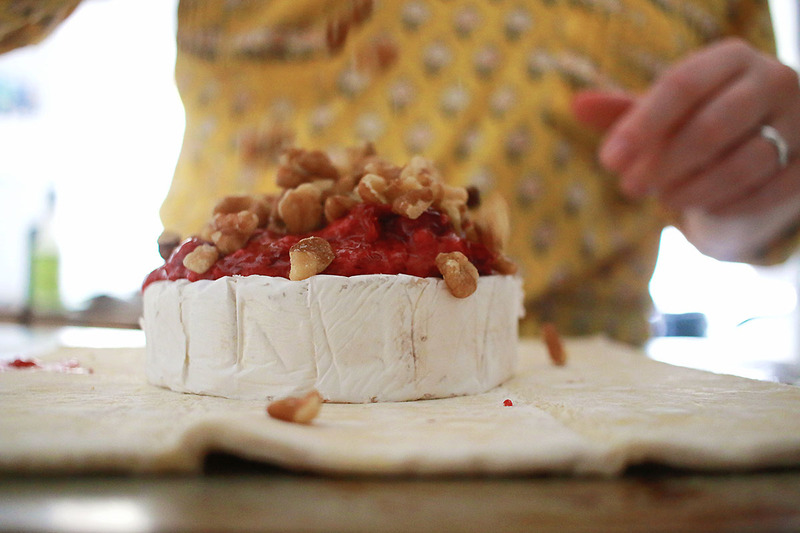 Place cranberry sauce & walnuts on top of cheese. 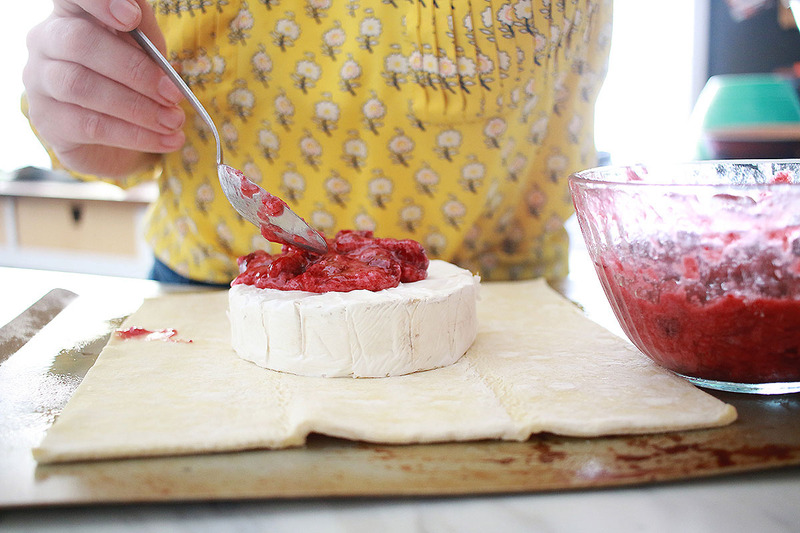 Fold puff pastry over & around the cheese. 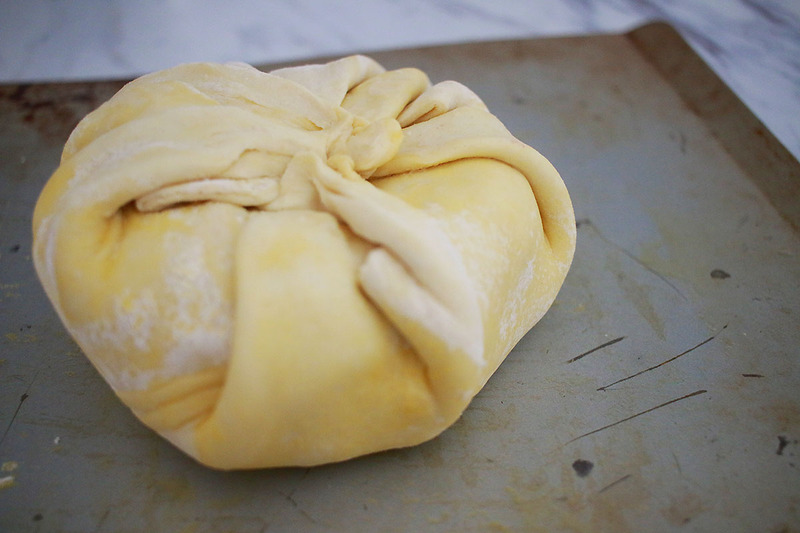 Use a bit of water to keep puff pastry together, use it like glue. 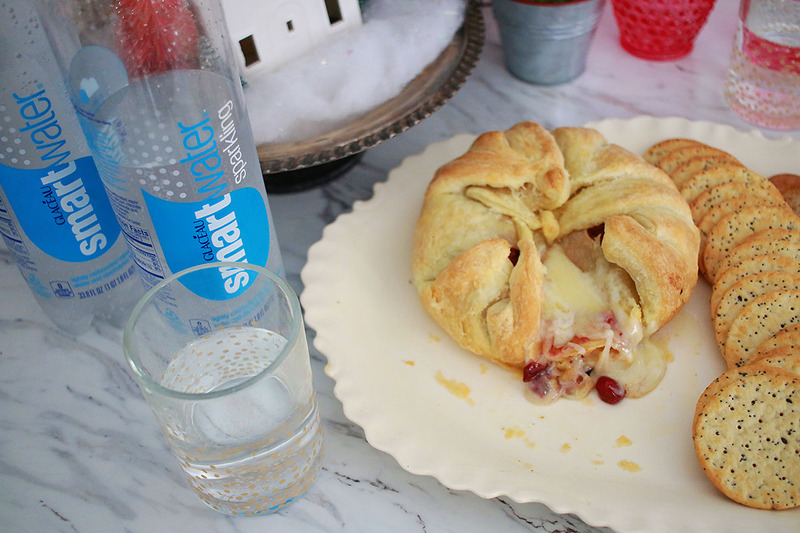 Don’t forget to check out my recipes for more easy & delicious ideas.